I'm a New Yorker who lives on the Upper East Side. I write THE MANHATTANITES, a contemporary romantic soap opera of full length, stand alone novels, and it's juicy prequel, companion series THE UNDERGRAD YEARS. 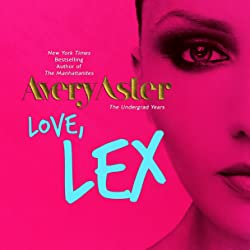 Please enter your email address and click the Follow button to follow Avery Aster!